As I use my iPhone more and more, I find it more useful for learning and teaching. I continue to seek apps that I can integrate in my classroom or presentation. I stumbled up on one app, Explain Everything, that I am very eager to explore. 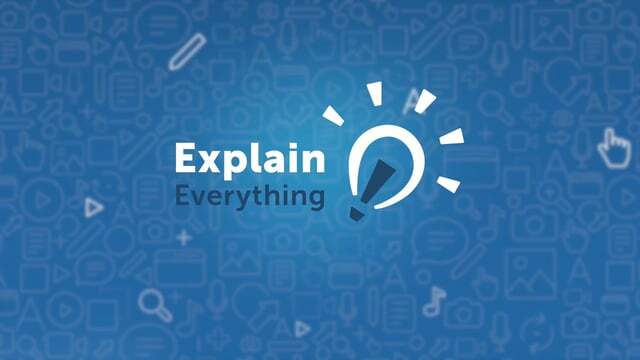 Explain Everything is “an interactive screencasting whiteboard” according to the developers. It has a laser pointer to draw attention to a specific area on the screen. You can record everything that you do on a screen, with your voice, so show it again or share with anyone. The app integrates with major cloud service providers such as Google Drive and Dropbox, so it’s easier to access files (I love this integrated feature!). Here is a video that explain the app’s features. Check it out!